It’s fascinating to consider the dynamics underlying the way teacher expectations have an impact on student outcomes. John Hattie’s research suggests that significant gains in student outcomes can be seen in terms of effect size when teacher expectations are raised in a deliberate manner. It’s one of the biggest effects he reports. If you think your students are capable of reaching a certain higher standard, they are more likely to than if you don’t. It’s a bit like the findings of placebo research that shows patients report positive results if their doctor prescribes interventions believing them to be effective…as opposed to be being sceptical or unsure. It’s not just the medicine you give; it’s the way that you give it. These are real effects. Why is that? It suggests to me that there is a mechanism at work that we all need to be aware of so that we put it in reverse: attributing limitations. In our dealings with students we form a picture of their capacity and build our teaching around it. A student who, early on, suggests to us that they are less capable than another more capable student, receives a little less stretch, a little less challenge and their work is judged against a slightly lower standard. Each interaction is influenced imperceptibly…but the cumulative effect manifests itself in a real way: we expect less and, sure enough, we get less. Just today I read an article about the disparity between men and women receiving Firsts at Oxford University in a recent analysis. For example, 50% of male maths students receive Firsts but only 30% of female students. That’s a stark difference given that, nationally, this difference doesn’t exist and they are broadly level on entry. The article suggests that, put very simply, the culture at Oxford expects men to excel but women are not pushed to the same extent; the suggestion is that it’s a result of pedagogical interactions that are influenced by certain attitudes. So..here’s a thought experiment. Run through the characters in your most recent teaching group. Who do you expect to excel? Who do you expect to be average or to perform poorly? Consider the basis of those expectations and examine whether there’s a chance that, just possibly, you’ve attributed a limitation to some students’ potential attainment. 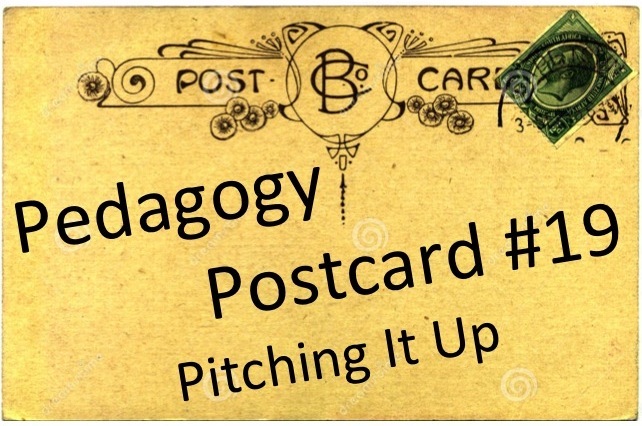 More generally, in the planning of lessons or the questions we ask in class, is there a possibility we’re going through the motions of a predetermined pedagogical routine rather than one planned for the students we actually teach? Another thought experiment: imagine you are told your class is a Year 8, typical for your school, and you prepare accordingly. A Year 7 class comes in and you do not know their ages. At what point does anyone notice? Or, you are told it is a top set, but the Set 3 class comes along instead. It might even be worth doing this for real to see what happens. It is worth looking at all the things you’ve asked a particular class to do, the language you’ve used and the questions you’ve set. With a super-critical eye, could you have eliminated any of it on the basis of being too easy, mundane or blatantly dumbed down? A time filling cover page? A lame cut and stick activity? That word search? The easy questions most could have done last year? Are you shying away from the harder questions or terminology in case some students will struggle? Are you letting your rays of light ‘bounce’ instead of ‘reflect’…so to speak? Finally, think about the most recent piece of work you collected in for marking. Here are your Austin’s Butterflies. Are you going to be less demanding of some students than others? How far will you go to secure improvement? At what point will you settle for what you’ve been given..and how will that vary from student to student? Do you have a good reason for the variation in your expectations? The conclusion to all of this has got to be that, whenever possible, Pitch It Up. Aim High. Expect Excellence. Demand It. It’s not one strategy…it’s more a frame of mind; the cumulative effect of the many micro-strategies that result in higher levels of engagement, longer periods of concentration, wider use of vocabulary, better explanations, deeper learning and stronger performances. Dan Brinton (@Belmont Teach) sent me a link to this video. It’s certainly food for thought – especially if you could scale this up to include all students. Note the four factors for the effect. It’s very much linked to what I’ve said here. An excellent post- your comment about picturing student capacity and building your teaching around that rings very true. Too often we can think “this is only a set 3” and limit the academic substance to the lessons (eg dumb down). This also includes not setting homework (because we have preconceptions that many students will not do it). It also extends to something as simple as collecting their books in at the end of the lesson- not to mark but because the pupils will “probably forget them next lesson.” This is such rot and can only communicate our low expectations to pupils. I (this is my personal opinion) do not like pupils being set too early in their educational career. Once a pupil is placed in a lower set their trajectory in that subject is in danger of being fixed not by their ability in the subject (or their capacity to improve) but by the standard of work that they receive in the lower set. When setting early in comprehensive school I would ask for assurances that work will be suitably challenging, pupils will get the same opportunities as those in other sets (particularly the set above) and that movement between groups will be possible.